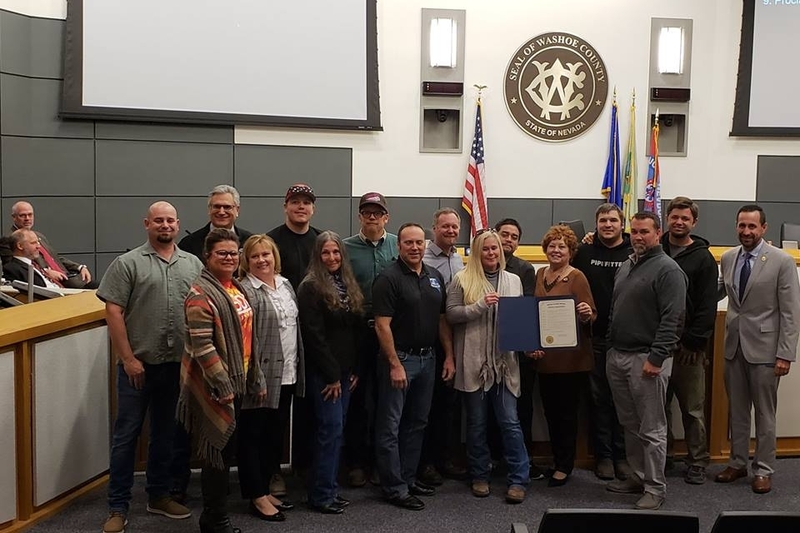 It’s been an exciting year for the Northern Nevada building and construction trades, and last week—#NationalApprenticeshipWeek—was certainly the pinnacle, as we welcomed proclamations from Washoe County and the cities of Reno and Sparks officially recognizing November 12-18 as National Apprenticeship Week, hosted hundreds of future tradeswomen at the 2018 Building Women Career Fair, and had a great time celebrating our 90th anniversary at Fantasies in Chocolate. Let’s recap! N.A.W. 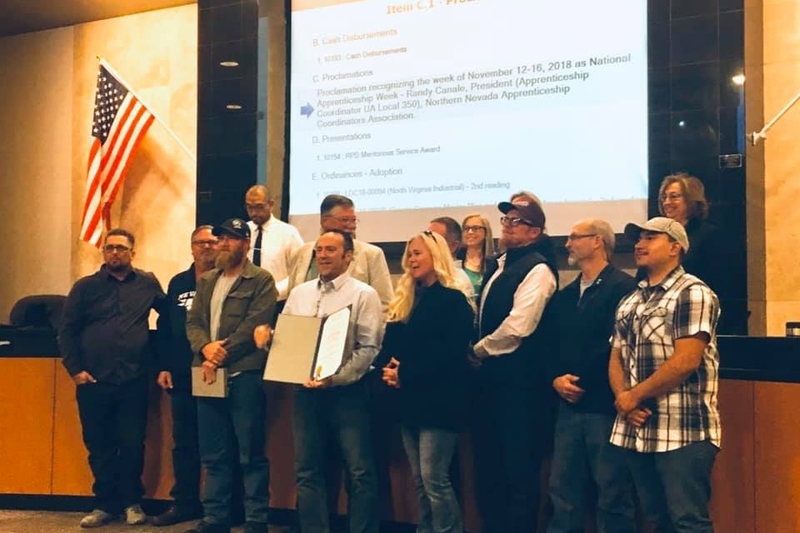 has been recognized in several other cities across the U.S. since 2015, and this year we’re excited and honored to add the cities of Reno and Sparks and Washoe County to that list, as all three issued proclamations officially recognizing November 12-18 as National Apprenticeship Week. We thank the members of Reno City Council, Sparks City Council, and the Washoe County Commission for their vision and leadership in making this important recognition for local workforce training programs. On Friday, November 16 we co-sponsored this career fair built for women of all ages with our apprenticeship recruitment partners at the Northern Nevada Apprenticeship Coordinator’s Association (NNACA). Hundreds of young women filled the TMCC Pennington Applied Technology Center to learn about building and construction trade apprenticeship opportunities, hear from local tradeswomen, and even experience hands-on and via virtual reality what it’s like to weld pipe, construct a frame, and paint a wall. We’d like to thank Truckee Meadows Community College for hosting us, and the Nevada Office of Workforce Innovation (OWINN) and the Nevada Chapter of Associated General Contractors for co-sponsoring the event. A shout out to members of the Sheet Metal Workers Local 26, UA Plumbers and Pipefitters Local 350, Painters and Allied Trades Local 567, NV Energy, Heat and Frost Insulators Local 16, Laborer’s Local 169, TMCC’s welding department, the Operating Engineers Local 3, and IBEW Local 401, BuildNV, the Northern Nevada Literacy Council, Wells Fargo, the Community Services Agency (CSA), the International Code Council, and Sierra Nevada Job Corp for running booths and exhibits to give participants a well-rounded look at career opportunities in advanced construction and the high-tech trades. 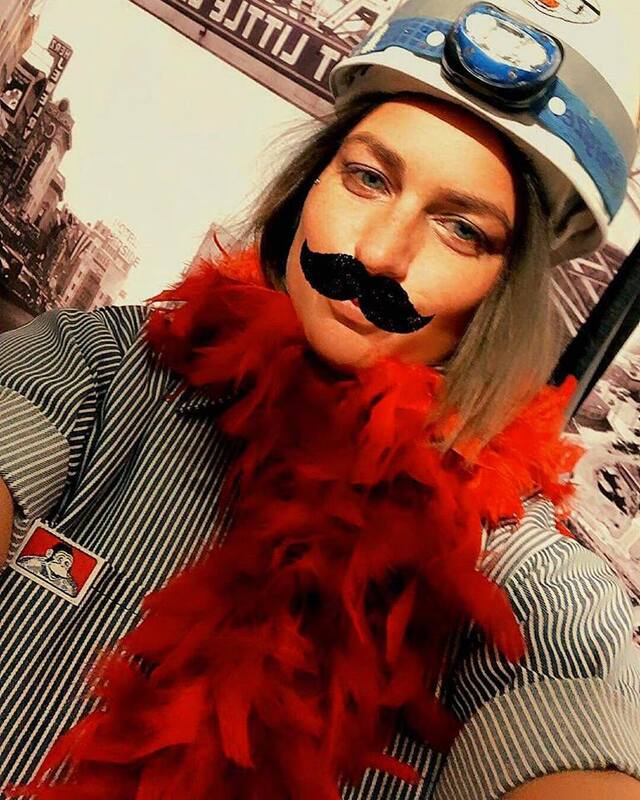 Finally, a very special thank you to our local tradeswomen—Anita Eveland from the Plumbers and Pipefitters Local 350, Jessica Collins from the Heat + Frost Insulators Local 16, Jolene DeLisa from the Laborers Local 169, Nicole Perez from IBEW 401, and Nanette Quitt from NV Energy—for coming out to talk to, share stories with, and inspire the next generation of tradeswomen in Northern Nevada. We had a great time talking to folks about our work in the community and our paid apprenticeship programs, and handing out (and eating) some seriously delicious chocolate chip + peppermint cookies from Rounds Bakery. Many thanks to Rounds, and to Artkore in Las Vegas for printing up some fun giveaways, and to RGJ for inviting us. It was a great way to celebrate 90 years devoted to training, advancing, and supporting the men and women who build Northern Nevada. Indeed, it’s been a great year for our building trades, and we’re using that energy and momentum to build a number of new programs and initiatives in 2019. Stay tuned!